LOLcats, for those uninitiated, is an Internet meme of funny cat pictures accompanied with an amusing caption, often idiosyncratic and grammatically incorrect, as a cat would say could it speak. 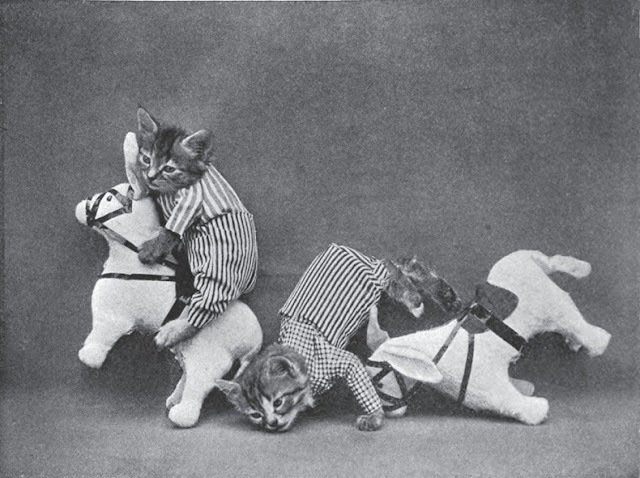 LOLcat is a combination of two words – LOL which means “laughing out loud” and cat. 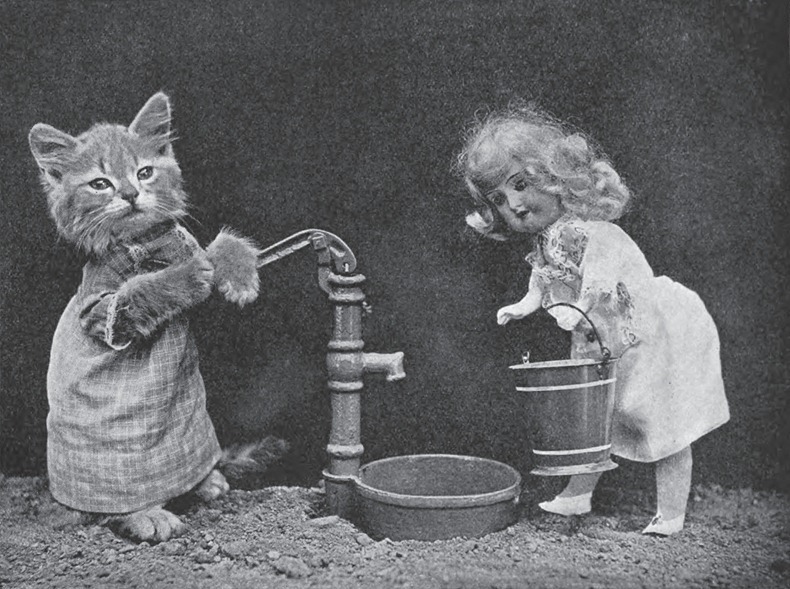 While the term is believed to have originated in 2006, the concept of lolcats originated much earlier. 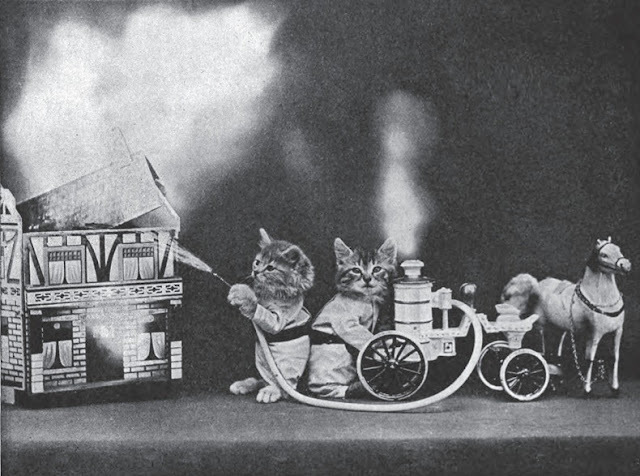 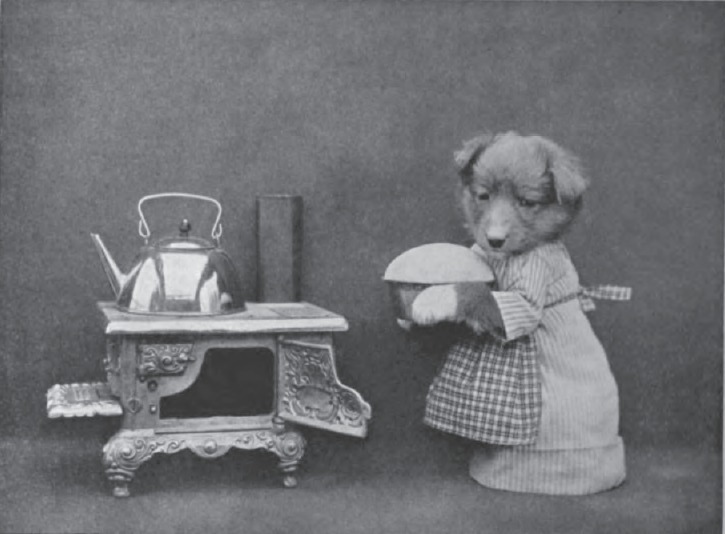 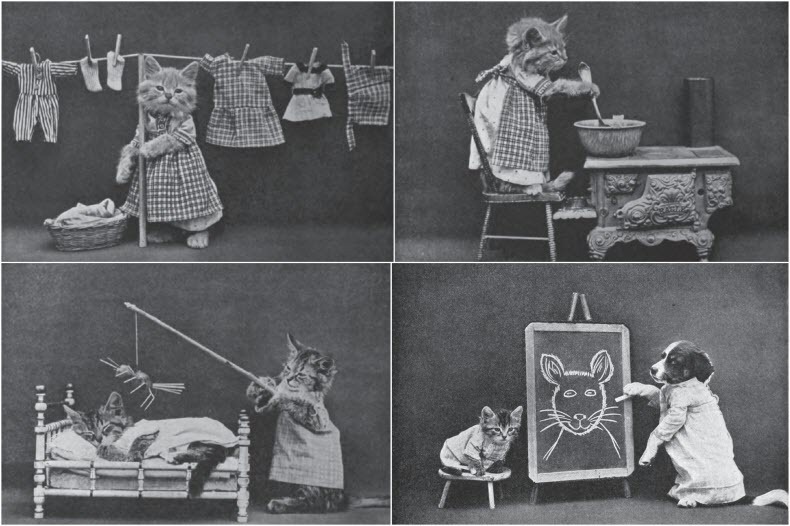 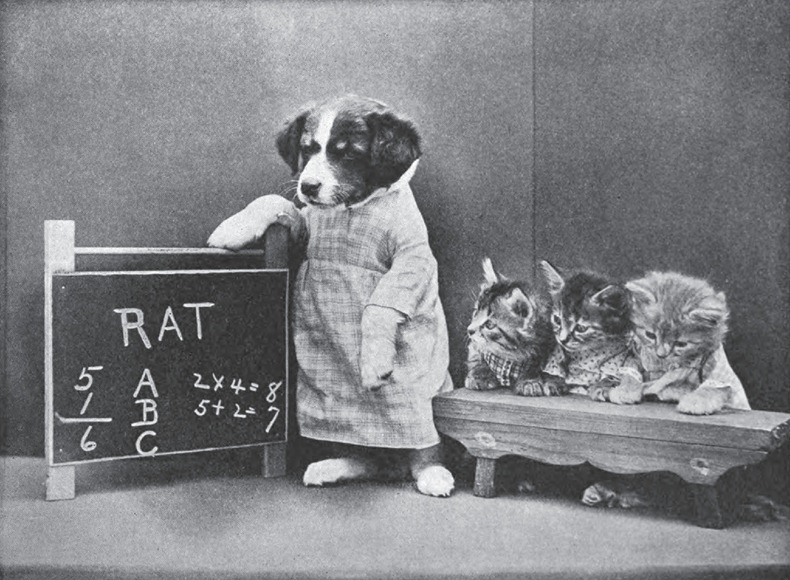 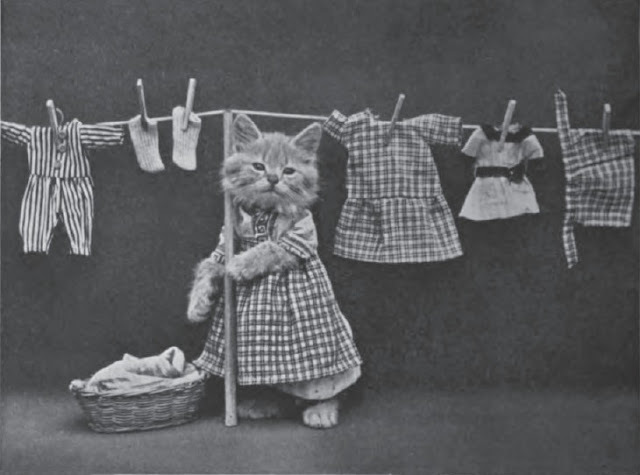 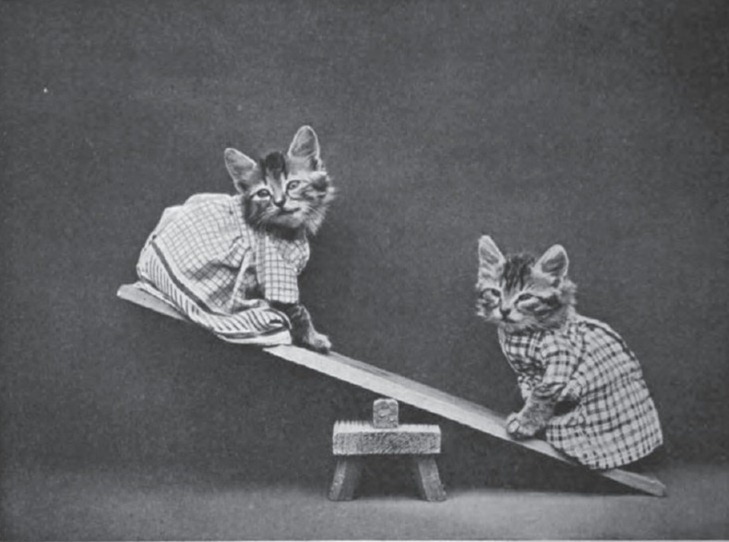 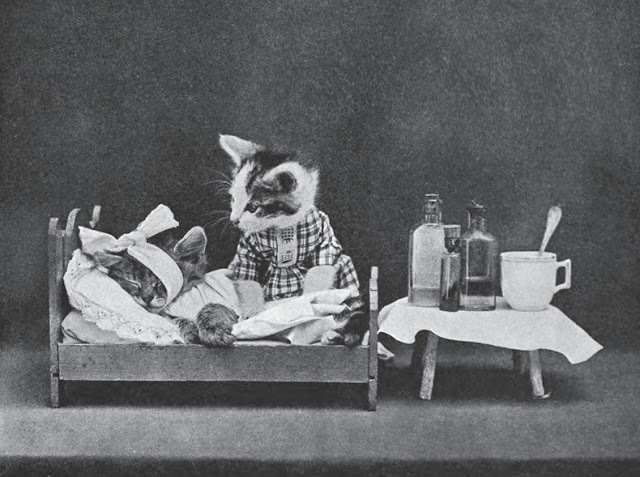 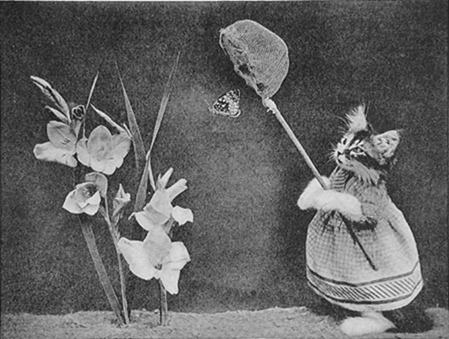 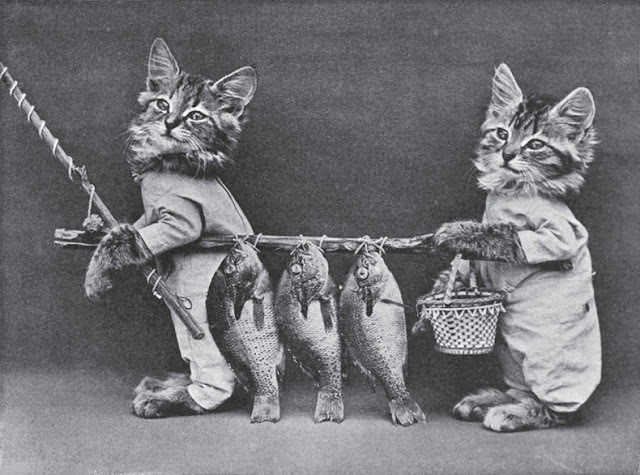 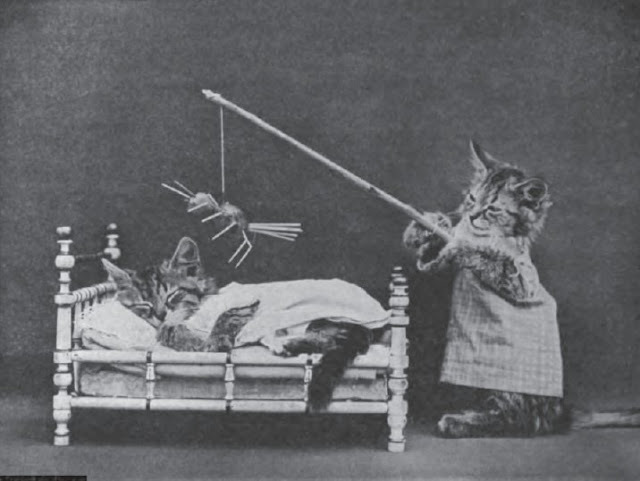 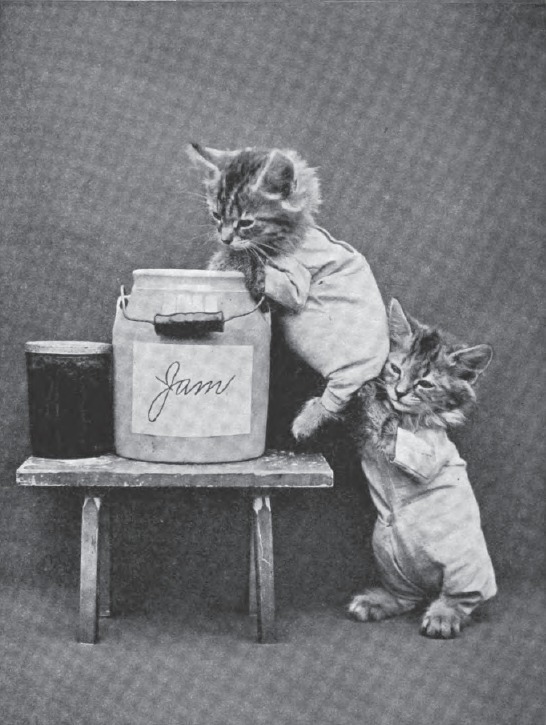 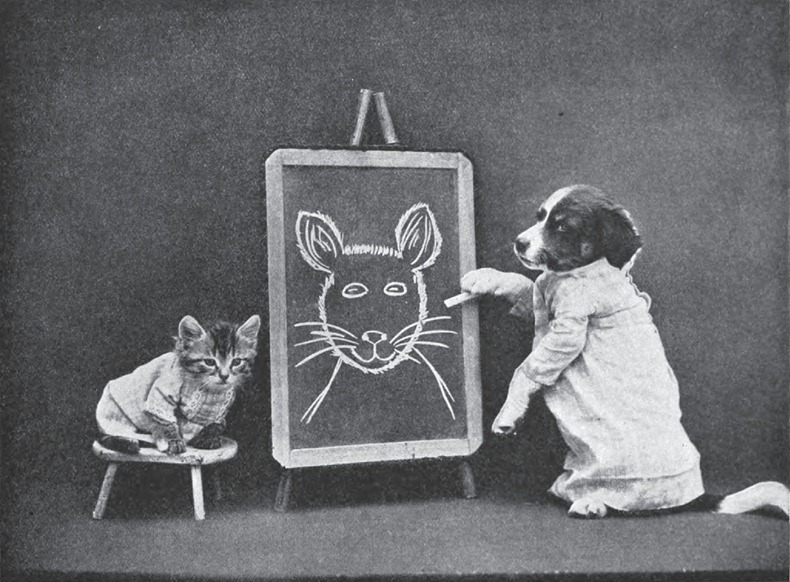 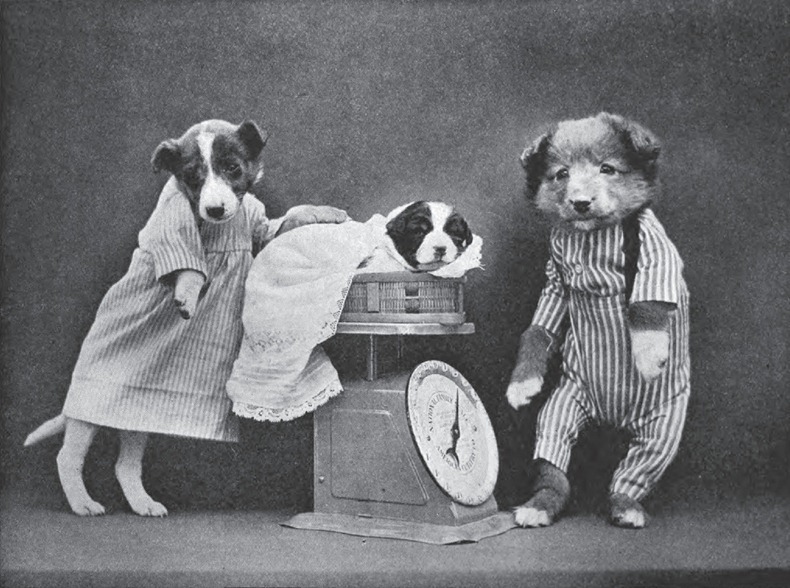 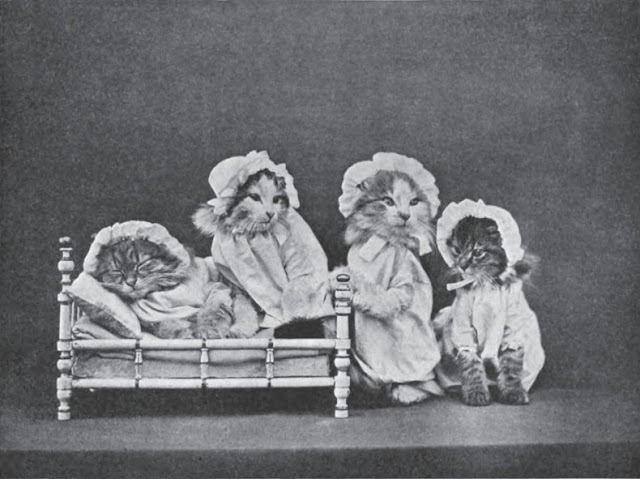 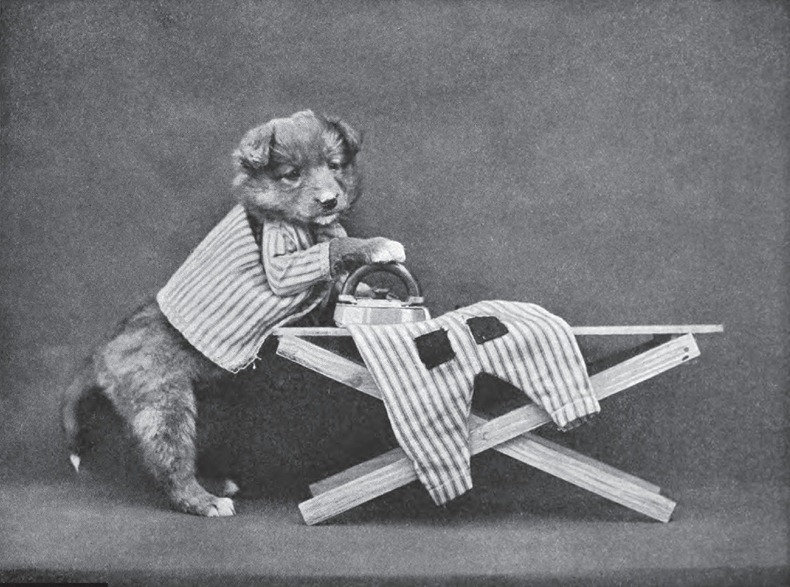 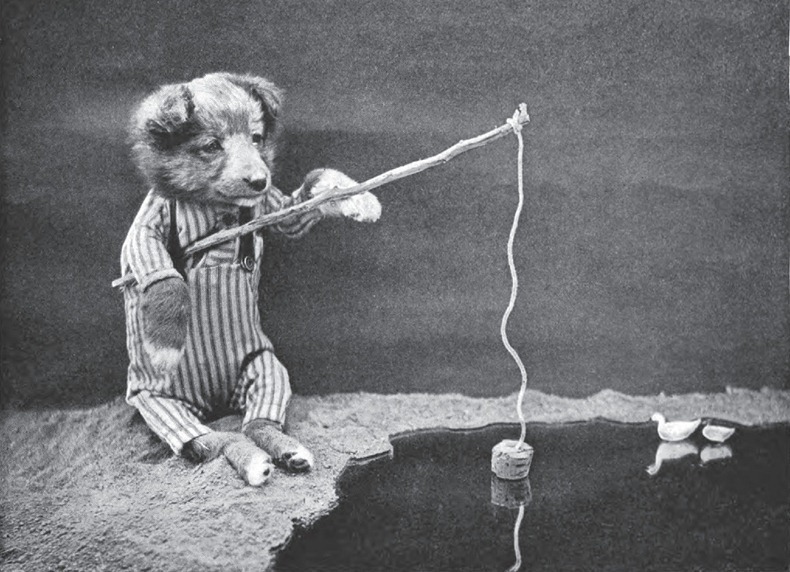 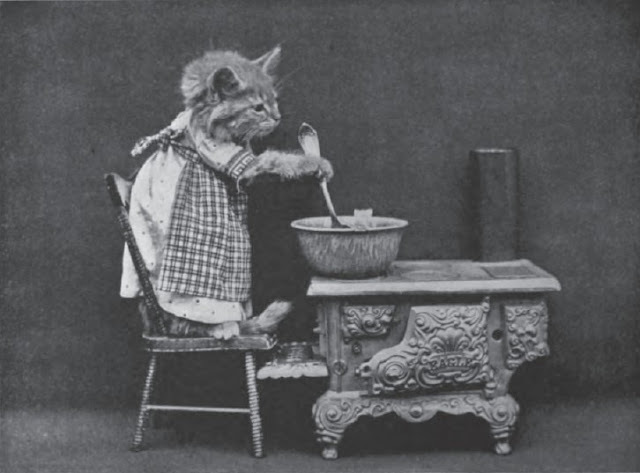 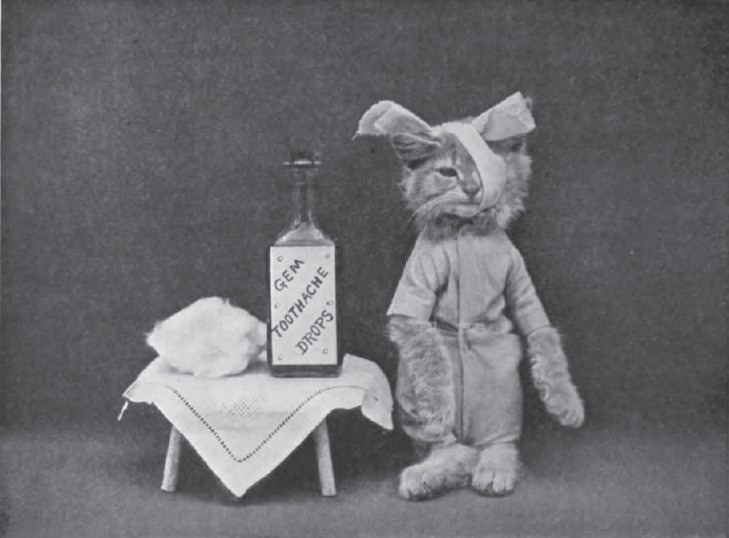 These photographs were taken by American photographer Harry Whittier Frees (1879–1953), who dressed his cats, Rags and Fluff, as well as the pets of his friends and neighbors, and posed them in human situations with props, often with captions. 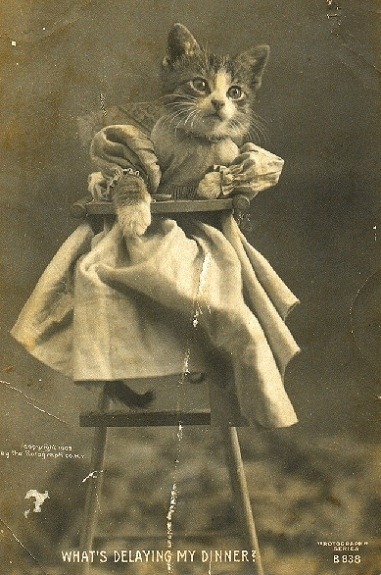 0 responses to "LOLCats From Yesteryears"